Dreaming of travelling to Malaysia? Are you a student looking to broaden your horizons, by studying in Malaysia? Or maybe, you are pursuing that exciting job offer. Perhaps, you’re just a tourist looking forward to a fun time in Malaysia. Whatever is your reason for visiting this wonderful country, there is a common link that binds and that is visa Malaysia applications. Whether you are a tourist or a student, an employee or a businessman there are similar questions on your minds. How do I get my visa? What documents do I need? How much should I pay? Well, your search for answers has a come to a close, as we present to you a simplified guide on all things visa Malaysia. Given below are a list of all the visas for Malaysia (according to the purpose of visit), and the relevant data you need to know to obtain that visa. If you are seeking to visit Malaysia as a tourist or for a short social visit, you can apply for either Single Entry or Multiple Entry visas. For Chinese and Indian nationals, there is a third option called the Electronic Travel Registration Information or eNTRI visa. Single Entry Visa: A single entry visa allows you a one-time entry into Malaysia and is valid for a period of 30 days. Multiple Entry Visa: A multiple entry visa, allows you to depart and return back to Malaysia numerous times within the visa validity period. This validity on this visa can range from 30 to 90 days. eNTRI Visa: The eNTRI visa was established as a diplomatic measure and allows Indian and Chinese citizens to visit Malaysia for a period of 15 days. It is short for Electronic Travel and Registration Information Visa. The time period on none of these visas is extendable. The easiest way to apply for a tourist / social visit visa is through an online application. We recommend evisamalaysia.in, as they are trustworthy and have considerable experience in visa applications. y bookings on flight and hotels. Once your visa comes through, you can book tickets on your own with no risk or tension of cancellation. If applying online the tourist / social visit visa would reach you within 48 hours after approval. These 48 hours include only working days and public holidays and weekends are not counted. You can apply for a tourist / social visit visa either through manual application at a Malaysia visa consulate or online through windowmalaysia.my or evisamalaysia.in. Malaysia has set up one-stop centres in different cities for the purpose of streamlining manual visa applications. In India, these consulates are present in Delhi, Mumbai and Chennai. Firstly you need to get a visa application form from these centres and fill it with correct information. A payment of Rs 4720 will be added as OSC service charge in addition to the visa fee. There is also the hassle of standing in long queues to submit documents and the visa processing time also increases to 5-6 days. The website windowmalaysia.my is the official site for online visa Malaysia applications. Due to heavy traffic, it is frequently prone to crashes. Also, if applying through this website you will be subject to more stringent checks and your application might be rejected due to minor mistakes. You will be redirected to the application form, fill in your details and click submit. Upload all your documents and wait for your visa to be processed. You can track your visa application and check status here. From our research, we have concluded that the most efficient and trustworthy agents for online visa Malaysia applications are evisamalaysia.in. One of the perks of using their services is that you need not worry about pre-booking flight and hotel tickets. The agents arrange for temporary bookings. After your visa comes through, you can safely book your own flight tickets and hotel rooms. Another perk is that they format your documents according to necessary guidelines, saving you from the hassle and risks of rejection. To apply, follow this link here. Or go to evisamalaysia.in, and click on ‘Apply for Malaysia eVisa’. Fill in the application form, specifying the number of applicants from your side and the type of visa you require. After you submit the application you need to pay a minimal processing fee of 10%. You will have to pay the remainder of the fee at this stage. After the Malaysian government approves your visa, it should reach you by email in about 48 hours. A visa on arrival is granted to you after you enter Malaysia. It is valid only for nationals of a handful of countries. There is also a list of conditions you need to fulfil before you will be granted a visa on arrival. An Employment Pass is a permit granted by the Malaysian government, giving permission to a foreign national to work and earn a livelihood in Malaysia. Employment passes can be either long-term employment passes granted for a period of up to 5 years or temporary employment passes that are valid for any period less than 2 years. In addition to this, there are Professional visit passes granted to expatriates and valid for 6 months. To apply for an Employment pass you need to be a minimum of 27 years old (23 if you are employed in the IT sector). And only those applicants are eligible, whose salaries are more than 5000 Malaysian Ringgit (RM). An invitation/ offer/ acceptance letter from a Malaysian company typed out on their letterhead. An application for Employment Visa Malaysia is Rs 5720. In addition to this, service charges of Rs 500 and DD making charges of Rs 100 will be charged to you. The Immigration Department might take 1-2 months from the application date to approve the visa. After approval, the visa will be processed in about 5-6 working days. For an employment visa, the company /organisation needs to apply for it on your behalf. Firstly, the company needs to check whether or not they are eligible to hire foreign nationals or expatriates. Secondly, the company needs to register and log into the Malaysia Expatriate Service Division (ESD) website to submit the application form. And lastly, you will have to wait for visa approval. The application will take 1-2 months to get approved by the Immigration department. If approved the visa will reach you by 5-6 days. A student visa is a permit granted by the Malaysian government, to a foreign national to pursue an education in any institution in Malaysia. It is important for students to apply for a visa well before their term starts. You can apply for a student visa directly through your institution, it is no longer necessary to apply under your local Malaysian Embassy. It takes about 5-10 working days for the Immigration Department to check your application and process it. Firstly, you need to apply to the educational institution of your choice. If you are accepted, then the institution applies for a student pass on your behalf to the Director of Pass and Permit Division in Malaysia. If successful, you need to email the institution all the visa documents required. The institution will receive an approval letter from the Immigration Department and forward the same to you. It is important that you inform the institution of the date and time of your arrival, airport location, flight number etc. A representative from their side will greet you at the airport. Lastly, submit your passport to the Immigration Department of Malaysia, they will affix a student pass sticker on your passport. This will be done in about 2 weeks. Are Indians eligible for eNTRI visa? Yes. The eNTRI visa is valid only for Indian and Chinese citizens. It is short for Electronic Travel Registration and Information visa. With an eNTRI visa, you can visit Malaysia for up to 15 days. It is not extendable. What is the processing fee for Visa on Arrival? To process a Visa on Arrival you need to pay of 100 USD. However, there are certain conditions you need to fulfil before you can avail Visa on Arrival. This visa is applicable only if you have an existing visa for Indonesia, Thailand or Singapore, and are entering Malaysia through these countries. Also, you need to have 1000 USD in a bank deposit or cash, to show for proof of sustenance. Which kinds of visas for Malaysia can I apply for online? If applying for a Malaysian visa online (e-Visa), you can either opt for a Single Entry, Multiple Entry, or an eNTRI visa. These come under Visa without Reference and are applicable only if you are a tourist or on a social visit to Malaysia. I’m in Malaysia on a tourist visa can I extend it for a week? No. A tourist visa to Malaysia is either a Single Entry, Multiple Entry or an eNTRI visa. None of these visas is extendable. I’m going to Malaysia on a student visa, can I work there? Yes, but on certain conditions. You can work as a student in Malaysia only in low skill jobs. Besides, the government allows you to work during the term holidays only. These can be jobs at restaurants, libraries, gas-stations or college dorms. The work week should not extend more than 20 hours per week. How long is a work visa to Malaysia valid? A long-term Employment Pass (work visa), is valid for a period ranging anywhere between 6 months and 5 years. Temporary Employment Pass has a duration of 6 months to 2 years. And finally, a Professional Visit Pass is valid only for a period up to 6 months. I’m going to Malaysia on a tourist visa, can I work there? No. 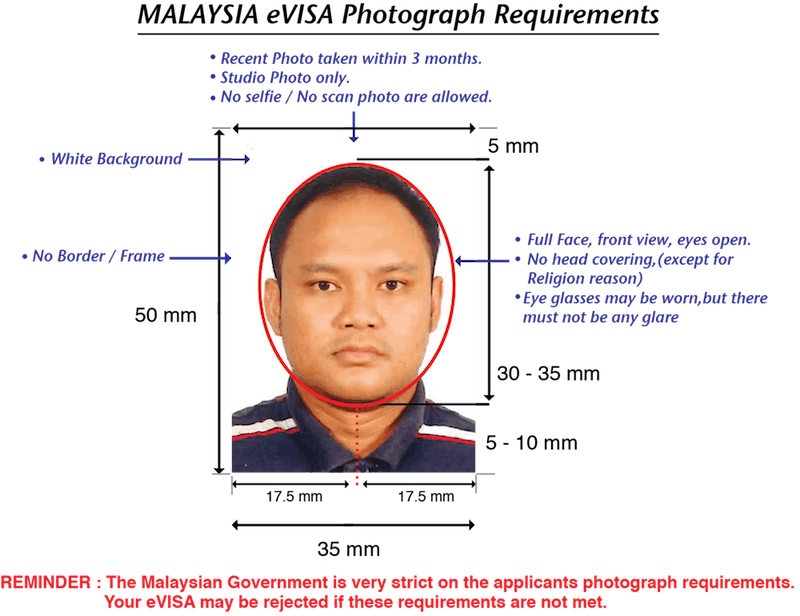 It is impossible to work in Malaysia with a tourist visa. Can a minor apply for Malaysia visa online? A guardian needs to apply on behalf of the minor, to avail an eVisa for Malaysia. The minor’s birth certificate and a NOC from both parents are necessary when a minor is applying for a Malaysia visa. I’m married to a Malaysian citizen, do I need a visa for Malaysia? Yes. You can apply for a short-term or a long-term visit pass (Single Entry Visa) if you plan to visit Malaysia. Alternatively, your spouse can apply for a Dependant’s Pass for you. This is a better option as a Dependant’s Pass has a longer duration of validity and you will be able to apply for Permanent Residency in Malaysia, later on. I’m in Malaysia with a tourist visa can I apply for a student visa directly? No. You need to go back to your home country and apply for a fresh visa. It is impossible to convert your existing tourist visa to Malaysia to a student’s visa.